It's official! Winter is here, which means in some locations whipping winds and frigid rains and sometimes snow aren't far behind. Most of us wouldn't ever contemplate of leaving the house without a heavy sweater or coat in overcast weather; nevertheless unfortunately, a lot of people don't think to put on their sunglasses. While the sun isn't always our first consideration during times that we are bundling up against the freezing winter climate, the sun's rays are still shining down during the winter months, and in certain circumstances can be even stronger. They don't call it a "winter wonderland" for nothing. Particularly following a serious snow fall, the blanket of snow covering the ground, trees and everything else in sight, actually intensifies the reflection of the sun. In fact, in many cases it can downright hurt your eyes when you first step outside following a glistening snowfall. The UV sunlight that we are all so careful in avoiding in the summertime may really be more dangerous in the winter months since it bounces off the snow or ice, giving you a second exposure. This is why good sunglasses are a necessary winter accessory. Even though it's important to pick a style you look good in, the most important consideration when deciding upon a pair of sunglasses is checking that they provide adequate protection against UV. Make sure your sunglasses block 100 percent of UV light by checking for confirmation that they are labeled UV 400 (this means they block all light with wavelengths up to 400 nanometers, which includes both UVA and UVB rays.) The good news is proper protection for your eyes doesn't mean you have to buy the most expensive pair. Many of the more affordable brands are made with total ultraviolet defense. Another important factor in selecting sun wear is size. You want to make sure the lenses cover as much of the area around your eyes as possible. 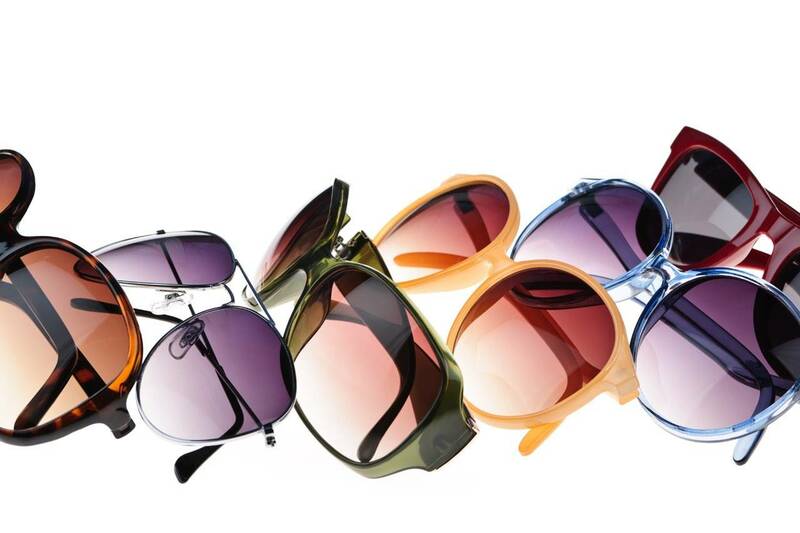 The larger the surface area covered by your sunglasses, the less harmful radiation will be able to penetrate. Lenses that wrap around the temples will also stop harmful rays from sneaking in through the periphery. Although it's much more commonly known these days that sunglasses are essential water gear since the water intensifies sunlight, this also applies to wintery water as well. Therefore it is just as important to put on sunglasses during times when you go out in wintery conditions. Further ultraviolet exposure is more powerful at greater elevations such as mountain ski slopes. Make a point to be knowledgeable about suitable eye protection all year long. Don't leave home without your sunglasses.